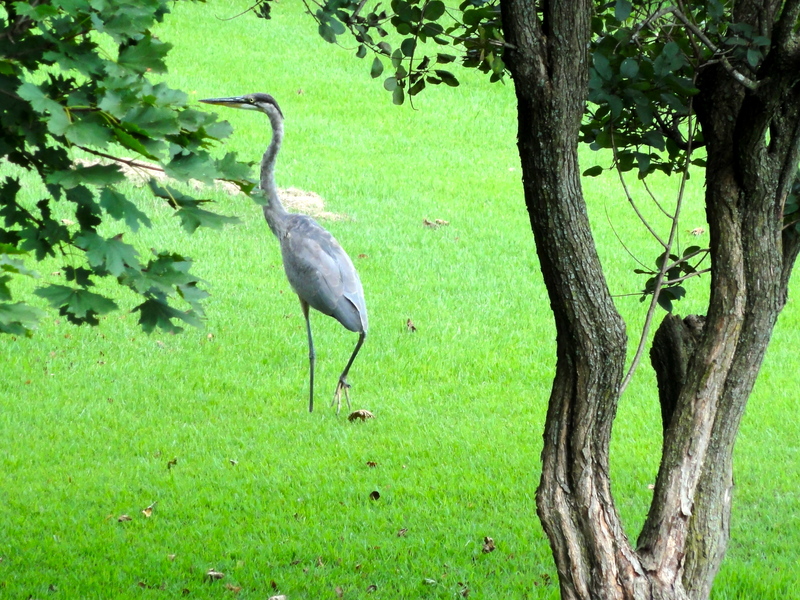 One never knows what one may see when one glances out of one’s dining room window. 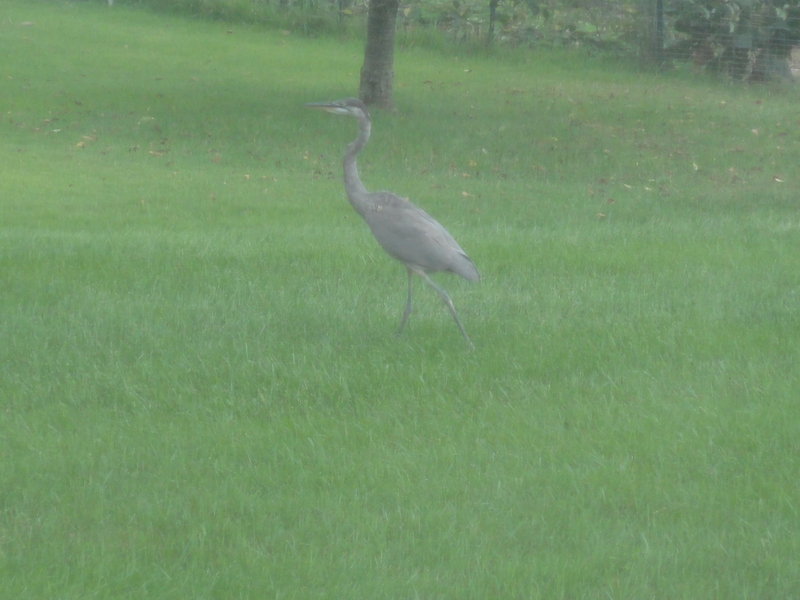 Yes, that’s a blue heron strolling through my backyard. After taking a picture through the dining room window, I went out on the deck and took another picture of him walking through the neighbor’s yard.